So Much More Than an ‘E-Course’ – Low Price BUT High Impact Limited Offer! People say that Steve’s inspirational and innovative online career change programme is “the next best thing to coaching with Steve himself”. Steve coaches you through his empowering six step Career Navigation Cycle process with video introductions to each module and exercise, sharing his knowledge and experience. There is around 24 hours of empowering content with dozens of different activities, interactive quizzes, inspiring videos, audio clips, images and quotes plus the benefit of an excellent editable or downloadable Career Transition Workbook which becomes your toolkit for change. All you need is an internet connection and you have access to the programme for a full 3 months. So, despite the great value low price tag this really is a high impact programme! Limited special offer price – Don’t delay BUY NOW! Navigate Your Way to a Brighter Future with Coaching Support from with Steve! To gain maximum benefit from Steve’s ‘Navigate Your Way to a Brighter Future’ online career change programme, you may want to consider the option of personal coaching support from Steve himself. 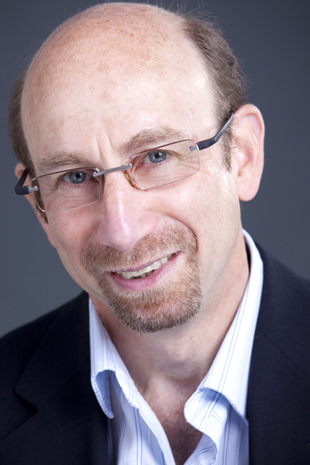 Steve is offering coaching at any stage of your programme (during or after completion) in bite size chunks from 1 – 4 hours, using video calls over Zoom or Skype. Face to face sessions can also be organised for minimum 2 hour sessions held in Central or West London. Contact Steve for more information. Don’t delay limited special offer – Start to ‘navigate your way to a brighter future’ today! ‘Navigate Your Way to a Brighter Future’ now better Value than ever! 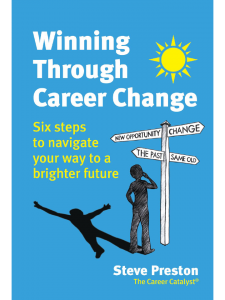 If you want to follow in the footsteps of many people who have successfully transformed their careers and lives, having been been inspired by Steve’s ‘Navigate Your Way to a Brighter Future‘ online career change coaching programme, it is a must buy and fantastic value for money on sale now at special limited offer price only @ £165 inclusive! Don’t delay, BUY TODAY! Please note: Due to great value new price, all previous special reader discount offers in Steve’s books have been discontinued. 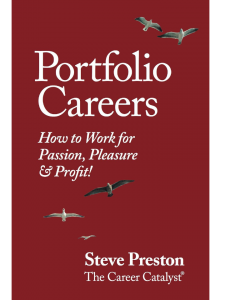 Steve Preston’s online career change course, is excellent for helping you work out what you really want from a career. This is especially true if you’ve been plugging away at building a career for some years and realise you’re just going through the motions and would actually rather do something more fulfilling. It helps you realise what’s important to you and the skills and attributes and interests you have, which may lie in how you spend your spare time rather than in the job you’ve been doing. 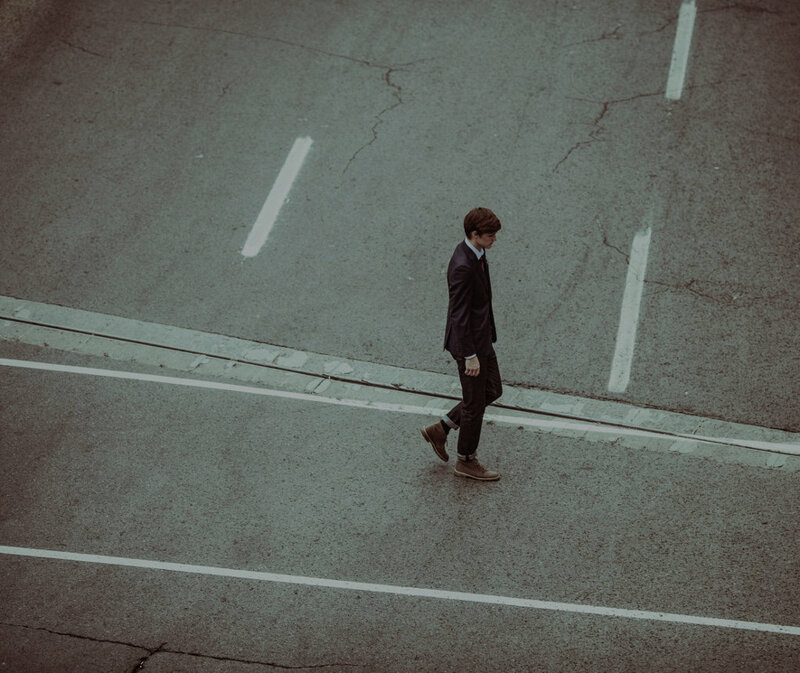 He guides you through a logical process, each step building on the last, so that you end up very clear about what you want and how you are going get there. There are activities to do en route which help hone your thoughts from fuzzy at the outset to having an action plan at the end. I found the course both practical and revealing. It saved me an awful lot of time, head- and heartache when I got made redundant a few months later as it prevented me from applying for yet another job similar to my last one which would have looked good on paper but was not what I actually wanted any more. So, thanks for creating your course and book which have honestly led to a much better life for me. Even my partner says I’m not grumpy after work anymore (well, hardly ever), so it’s affected more than just me, but also the people around me! I found the holistic focus of the programme allowing me to look at every aspect of life and not just career was very rewarding. The delivery of the programme in separate steps helped to focus attention and time on each aspect. The learning for each step was then brought together towards the end. The videos and audio clips really helped to reinforce the content and the exercises were tremendous. I got great benefit from the Values and Anchors exercises and the Self-Awareness Matrix was a great way to reflect on what was important to me and analyse on what I can offer. I would highly recommend the programme to others who are at a career crossroads or stuck in a rut in their current job. It has been eye opening and I’m glad I found you and the course, so thanks for that, I definitely feel that it has been life changing! My overall transition won’t be immediate, but this course has had an impact on me to go out and believe that the world is your oyster and that nothing should hold you back from your dreams and aspirations in life. So, thank you! The course has indeed enabled me to, as you suggest throughout, dig deeper which is big progress for me. I responded well to your video presentations, introducing concepts and coaching me through each Step of your Cycle process. It was easier for me to address this in my own space and as a result, I have now made real breakthroughs! • The additions and changes you have made have in my opinion have improved an already dynamic programme into something very special! 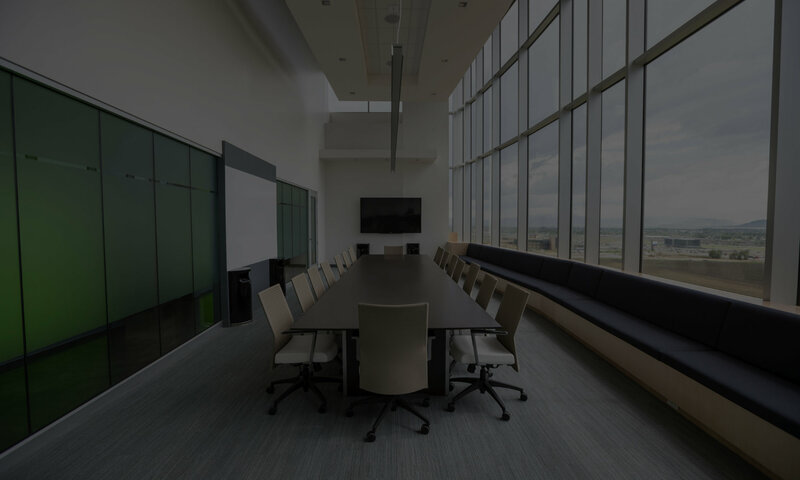 All in all an easy to access and successful programme that I believe users will find invaluable in assisting them to achieve their ultimate goals, and excellent value for money. I particularly liked the mixture of additional content – audio clips, videos and recommended articles which helped explain the career navigation cycle. The programme worked well and it was easy to complete the exercises, gain inspiration and insight as you work through the process. 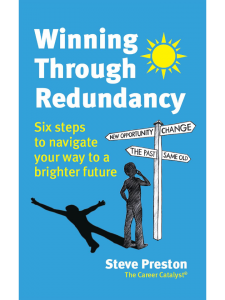 I recommend the programme but to also read Steve’s ‘Winning Through Career Change’ book. Listen to Santosh share how much she enjoyed Steve’s Online Career Change Coaching Programme and the many benefits she gained!